After my post yesterday, I searched around to see what I could find. I found two interesting studies in the Harvard Business Review and University of Kansas City. In the 1st graphic it was interesting to me that 59% of men attributed personal success to rewarding relationships, when only 46% of women did. Work life balance was very close and within 1% point of each other. The 2nd and 3rd biggest gaps were between men and women’s views on Learning and Developing and Financial success. 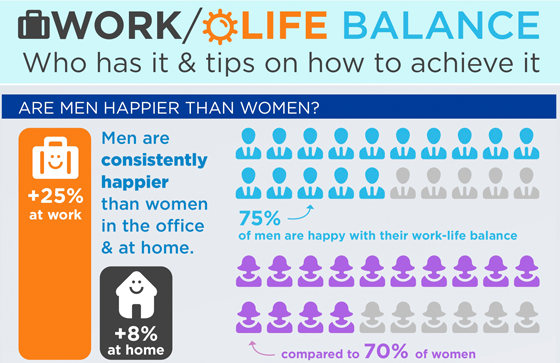 With regards to Work/Life Balance, UMKC reported that men are 5% more satisfied with their balance than women. They also found that men are consistently more happy at work and at home than women are.